Pictures are often admired for their aesthetic merits but they are rarely treated as if they had as much to offer as the written word. They are often overlooked as objects of analysis themselves, and tend to be seen simply as adjuncts to the text. Images, however, are not passive, and have a direct impact that engages attention in ways independent of any specific text. Advertising, entertainment and propaganda have realised the extent of this power to shape ideas, but the scientific community has hitherto neglected the ways in which visual material conditions the ways in which we think. 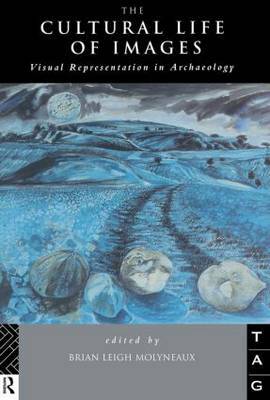 With subjects including prehistoric artworks, excavation illustrations, artists' impressions of ancient sites and peoples and contemporary landscapes, photographs and drawings, this study explores how pictures shape our perceptions and our expectations of the past. This volume is not concerned with the accuracy of pictures from the past or directly about the past itself, but is interested instead in why certain subjects are selected, why they are depicted the way they are, and what effects such images have on our idea of the past. This collection constitutes a ground-breaking study in historiography which radically reassesses the ways that history can be written.